ACGT had a press conferences in the recently WCIT 2008 and also sponsored the luncheon on the third day. It was about the milestone achieved for "First Draft of Oil Palm Genome" and well as promoting Jatropha, a robust oil seed crop whose oil is suitable for conversion into cleaner, renewable fuels. Please note that we don't know yet when would biofuel be ready, but the joint venture between ACGT (Asiatic Centre for Genome Technology) and SGI (Synthetic Genomic Inc.) will definitely hasten the process of harvesting more sustainable energy resources for the benefit of the world as quoted by Dr. J. Craig Venter (founder and CEO of Synthetic Genomics). Genomics is a field that is empowering scientists in transforming the world around us. From innovations that effectively enhance human health, to knowledge that helps us better understand the environment, to the possibilities of creating new biological sources of energy, genomic science is paving the way for a better future. Genomics has yet to be fully unleashed in enhancing crop productivity. 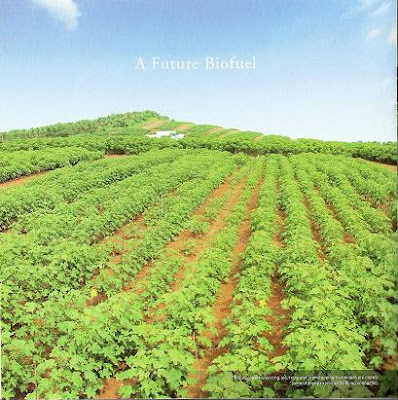 Biodiesel produced from crude jatropha oil can partly substitute costly fossil fuel imports for landlocked countries. It is currently being studied as a possible solution to help solve the current food and fuel dilemma. As a result, interest in jatropha cultivation has risen. This interest has seen crude jatropha oil (CJO) being studied as a sustainable fuel source, especially in rural communities in Africa and Southeast Asia. It has been shown that CJO can be extracted from jatropha seeds either hydraulically using a press or chemically using solvents. The seeds are black, 2 cm long and about 1 cm thick. 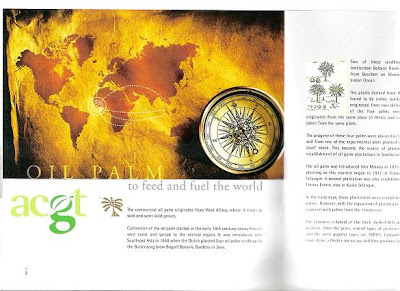 These seeds are rich in crude fat oil (from 30% to 50%). The fatty acid composition of CJO contains four important fatty acids: palmitic, stearic, oleic and linoleic acid. These are fatty acids commonly found in plant oils. Studies have also indicated that a single hectare of jatropha plans can conservatively yield seeds in the range of 2,000 kg to 3,000 kg per annum. Food and fuel prices have escalated in past years. This trend is likely to worsen as the world, at 6.514 billion people, grows at more than 250,000 people per day and burns fuel at an average of 86.97 millions of barrels per day (mb/d) from 85.58 mb/d last year. Soaring oil prices have resulted in more crops being grown for fuel instead of food. In early April 2008, oil prices set new records at above US$110 per barrel and continues to show an upward pattern. it rose from US$28 per barrel in 2003 to near US$100 per barrel as the year 2007 ended. Climate change is also contributing towards this trend. A sustainable solution is needed. Renewable fuel or energy sources from new oil crops like jatropha can help. Biofuel derived from jatropha may offer climate change benefits by helping to reduce greenhouse gas emission. ACGT is helping address this food and fuel dilemma. Our scientists at ACGT are applying the genomic and microbial resources to harness jatropha's potential.